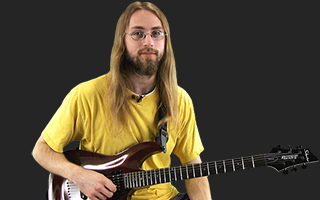 Dennis Hodges dissects an advanced, extended solo he wrote in A Minor for this lesson. He explains the chord progression he used and all techniques used in the solo. that is sick, I love it. Hey Dennis, amazing lesson. I was wondering if you could put just the backing track up, so I could play along with it? Awesome lesson Dennis, really excited your starting to do more intermediate - advanced material.